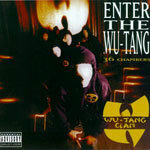 Here is the first album from the Wu-Tang Clan. This album is so classic that it re-defined the guidelines of what we all thought hip hop WAS. This is the album that played a giant part in making hip hop what it IS. Get this and play the jams that do the job in getting us hyped!